With the Knitter's Pride Cubics Symfonie Rose DPNs, your hands will say thank you because the square shape helps reduce hand stress and improves stitch formation. 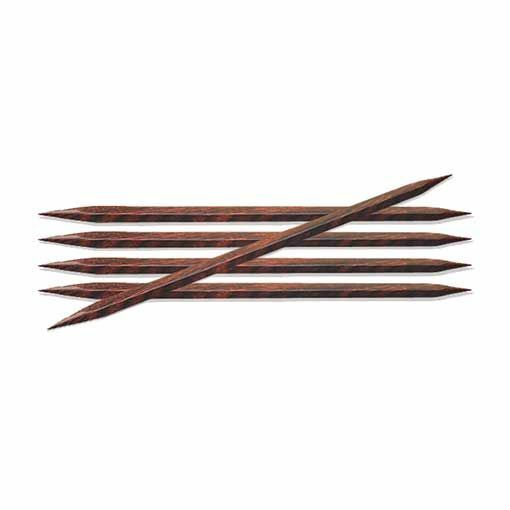 This set of five double pointed needles is constructed out of lightweight, strong and flexible laminated Symfonie Rose wood. 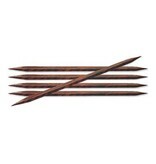 Needle size is measured diagonally through the use of a standard needle sizer.